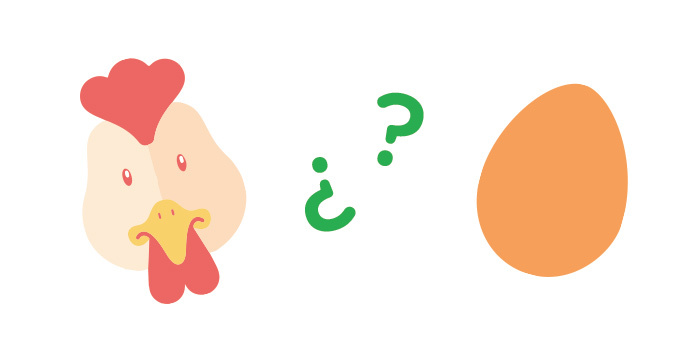 How do you solve the “chicken or the egg problem” inside your online marketplace? Who comes first: buyers or sellers? Now that you’ve decided on an online marketplace niche, how do you start? I mean really, who is going to sign up first – your buyers or your sellers? You know your idea is great, but all you need is a few early adopters to get the marketplace streamlined. The goal is to be waking up to money in your account every morning – and keeping it on repeat. It can be frightening thinking about all of this, but don’t worry, we are here to help. We have discovered a few tricks to make it easy. Below is free expert advice, and a sneak peak into some of our exclusive algorithm gems within our platform to help you overcome this common problem. Since people are always eager to sell, get hired, or make money – starting from the supply side is normally the easiest. Your sellers have nothing to lose and everything to gain. Going after your sellers is usually a safer focus for your time starting off. For transactions to happen, you need selection of supply for there to be enough choice for the buyers. Focusing on a particular niche will help populate your site is how most marketplaces companies scale. An example is to narrow what can be supplied, like Amazon with books, or by city like how Uber focused on NY. After you have enough adapted users on your first niche, then shift over to an similar niche. This way there is no struggle or time wasted. Think of it as vertical integration. 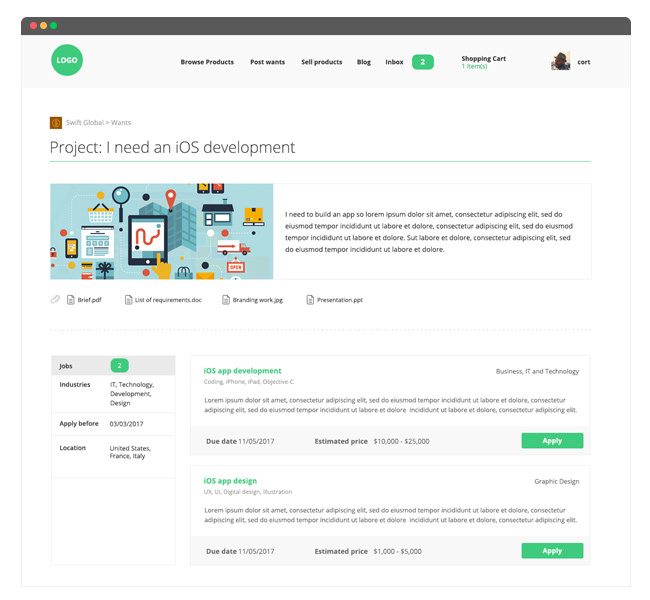 More than likely you chose this marketplace idea because you are/were in the industry, and know a lot about it. You have already spoken with, and understand people’s real needs and desires for this solution. 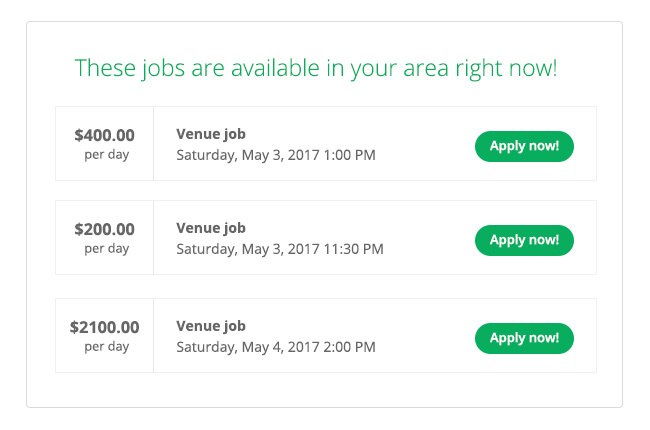 Now is the time to ask your applicable friends, family, and colleagues to sign up, and be the first users of your awesome marketplace. Make them feel special, and don’t forget to listen to their feedback. They are a crucial step in becoming the next ultimate online marketplace success! In the beginning, it is almost never a good idea to charge early adapters for sign ups. 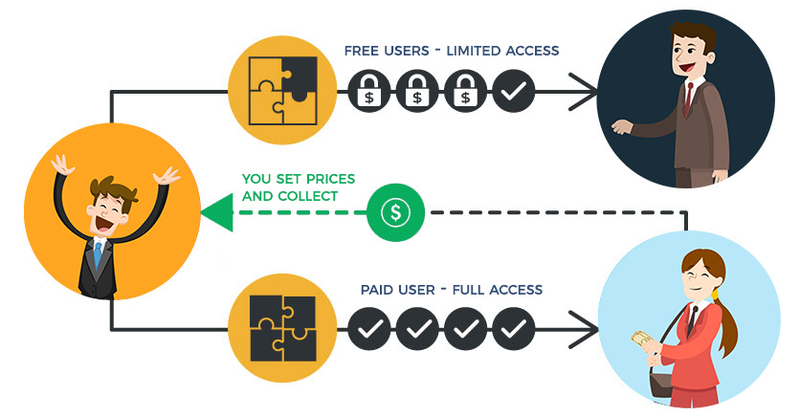 Our system allows you to sign up users on a freemium plan. This means your users can sign on and use the platform for free, but if they want to use certain upgraded features – then they must pay a subscription. LinkedIn is a great example of a freemium model. Let them sign up for free now but make money off them in the future. Show them the money and watch sign ups come pouring in! This is where a buyer comes in. Have somebody post a “need” with a qualifiedamount of money up for grabs on your marketplace. Take that posting’s URL and share it. Our system has created a sharable link that displays accurately on most networks, including Facebook. (Free Marketing is always the best, so take advantage of our sharable links.) We suggest you start posting and sharing on forums, Facebook groups, Craigslist, and blogs that have shared common users/readers as your target market. Users will see that there is money to be made which will entice them to register on your site. You’ll be surprised how quickly users begin to sign up. Yes, it really is that easy! Now that we have touched on how to get the providers, you need to keep them interested in the site while you gain the users for the other side. We got you covered on this too! Don’t worry, your marketplace will send users automatic emails when the demand side is looking for what they are supplying. This piece makes them return to the site, as they are motivated to sell/provide their service. Our special algorithms automatically match and send your sellers emails notifying them of potential buyers looking for the very things they offer. By creating the right environment for both buyers and sellers you can ensure your marketplace will have the ideal supply and demand for products and services. This keeps all your users very active and engaged.